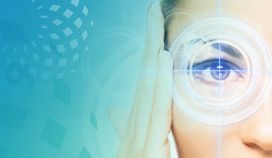 sophisticated technology in ophthalmic care. for eye and vision disorders. Deshmukh Eye Hospital is the leading Eyecare Hospital in Amravati and Western vidharbha. It has developed this reputation over three decades of service. 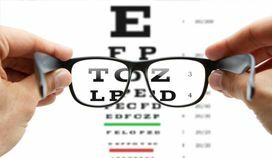 We offer comprehensive eye checkups for patients. 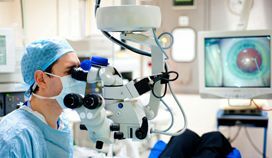 In addition, we offer speciality clinics manned by superspecialists in the field of retina, cornea ,Lasik and refractive surgery, squint and paediatric eye care, glaucoma and oculoplasty. We strive to remain at the forefront of technological innovations as reflected by the many firsts attributable to Deshmukh Eye Hospital: lens implantation, phacoemulsification, retinal centre, laser, angiography, OCT, dyeless angiography, Subspeciality Eye Hospital, NABH Hospital. We strive to provide the latest state of the art equipment in clean and comfortable surroundings. We have a dedicated parking, separate floors for OPD and surgery, handicapped friendly access, lift with generator and 24/7 electric backup. Our doctors are renowned in their field of specialisation. Our consultants are alumni from Alma maters like Sankara Nethralaya (Chennai), LV Prasad Eye Hospital (Hyderabad) , and Aravind Eye Hospital (Madurai). They have a robust clinical experience of many years and thousands of surgeries. We are the largest, busiest and most trusted Eye Hospital in Amravati. We provide all services related to Eyecare under a single roof. 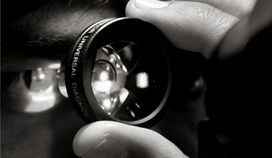 Our comprehensive eye examination includes the internationally accepted including visual acuity examination, external and slit lamp examination, applanation tonometry, pupillary evaluation, indirect ophthalmoscopy examination and slit-lamp biomicroscopy. Cataract is the most common cause of treatable blindness in adult population in India and is responsible for much suffering. Deshmukh Eye Hospital offers various methods of cataract extraction with regular, foldable and multifocal IOLs. Our glaucoma service offers a complete range of services for patients with glaucoma, cataract and related diseases. We use the latest advances and state-of-the-art instrumentation in treating the most difficult forms of glaucoma. Our retina service encompasses diagnostic and therapeutic for a host of common and uncommon diseases. Deshmukh Eye Hospital boasts of the first fully fledged surgical retina setup in rural Vidarbha with facilities to attend and treat the most complicated of vitreoretinal procedures.